Manchester United manager Jose Mourinho is reportedly keen for his club to seal the transfer of Bournemouth star Nathan Ake to improve his defence. The 23-year-old played under Mourinho at Chelsea and has long been considered an exciting young talent in the Premier League, having shone for the Blues before joining Bournemouth. 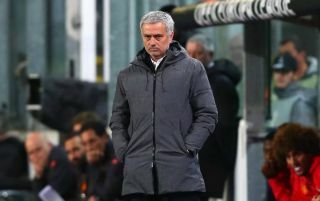 According to the Daily Star, Mourinho now wants the £40million-rated defender at Old Trafford to strengthen what has been a problem position for his side in recent times. The report states Tottenham are also interested in the Netherlands international, but United would surely have the financial edge in any transfer battle. The Red Devils are known for splashing the cash on big names since Sir Alex Ferguson’s retirement in 2013, and while Ake is not one of the most Galactico-esque names the club could bring in, he’d certainly do an important job. Mourinho has experimented with three different midfielders in defence this season – Nemanja Matic, Ander Herrera and Scott McTominay – so it seems likely he doesn’t trust his current crop of centre-backs. Eric Bailly and Victor Lindelof arrived at United with plenty of promise but have gone backwards, while Chris Smalling and Phil Jones are surely not good enough to be considered long-term options for the club in that area.